Fast forward to present: Despite his initial resistance, Reiss is CEO and president of Canada Goose. 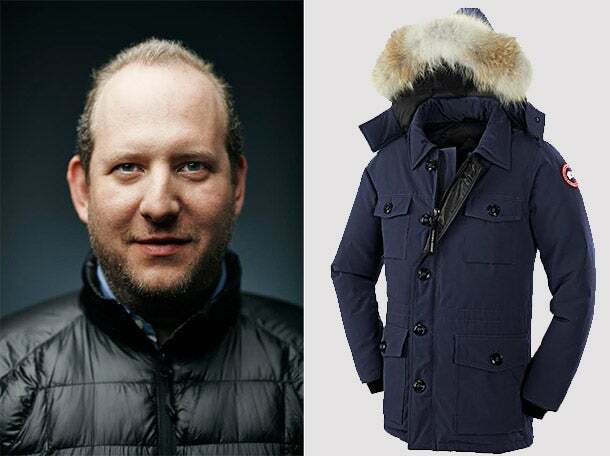 But instead of being confined by the company’s legacy, he has managed to use the position to very much do his own thing -- since becoming CEO in 2001, he has transitioned Canada Goose from a line of outwear products worn exclusively by residents’ of Canada’s icy northern regions into a brand sported by celebrities, featured in magazines (including Kate Upton’s infamous Sports Illustrated Swimsuit cover) and worn by individuals the world over. Over the past decade, the privately-held Canada Goose has posted a growth rate of more than 4,000 percent. When Reiss first took over as CEO, the company was doing 3 million in annual sales. This year, that number will be north of $200 million, and Reiss predicts sales will top $300 million in 2015. How, exactly, did this happen? For Reiss, his company’s awe-inspiring trajectory stems from two related decisions: Keeping Canada Goose’s manufacturing in Canada and never sacrificing quality for cost. When Reiss first took over the position of CEO from his father in the early 2000s, he was faced with a manufacturing industry in the throes of fierce disruption. Lured by substantially cheaper costs, “everyone was leaving and going to Asia,” Reiss says. The common belief was that consumers didn’t care where a product was made; they just cared about how much (or little) they had to pay for it. The smart decision was to pack up and move. Ironically, Canada Goose jackets first had to become popular in Europe before they could enjoy the same cachet in their native country. When Reiss first took control of the company, he began distributing jackets internationally. To his surprise, Canada Goose products were immediately embraced by European retailers, who viewed the jackets as luxury items and thus never questioned the price point or the decision to keep manufacturing in Canada. “For them a Canada Goose jacket made in Canada was like a watch made in Switzerland,” Reiss says. “Rolex is not going to move their production to China.” Made in Canada became a marketable, bankable factor. Reiss remembers the exact moment when the full significance of this reception truly hit him. He was on a business trip and, upon entering a boutique store, spotted a familiar logo nestled between a Prada coat and a Gucci jacket. That was a pivotal realization for Reiss: In his mind, Canada Goose had always been a luxury product, but physically seeing the label next to Prada and Gucci products convinced him that the world saw it that way, too. Canada Goose began as a line of functional down jackets built to weather the harshest cold, but has become a product sported by urbanites drawn-in more by its brand appeal than its incredible warmth and patented technology. While Canada’s reputation as the jacket for explorers and artic workers remains important –“We’re not becoming a polo company,” Reiss says – there are nonetheless indications that the company is capitalizing on its status as a high-fashion brand. Canada Goose is no longer just a heavy-duty parka line, but now sells a range of products including pants, light wear and spring jackets. In 2013, the U.S. private equity firm Bain Capital bought a majority stake in the company for an estimated $250 million, a cash infusion that will fuel Canada Goose’s continued rapid expansion. (The company now has offices in Toronto, Stockholm, Denver and recently announced it will be opening a sales office in New York City). Can Cartier Recapture Its Sparkle in China?